When it comes to choosing a builder for the construction of your new home, quality and trust should never be compromised. Working with a professional is an absolute must. With over 20 years experience and a real focus on customer satisfaction, you can rely on Smart Choice Homes for the custom build of your new home. Our custom builds are done to the highest building standards. Based in Buddina on the Sunshine Coast, we are a local building company that specialise in custom built homes. Thinking of building but don’t want a project home? Smart Choice Homes are specialists in custom home builds. We can build exactly what you had in mind and we are involved in all aspects of the build process – from arranging the concept plans with the draftsman, brainstorming your ideas into practical solutions, submitting plans to council, consulting with engineers and then the custom build of the home. Do you have a piece of land that suitable for a duplex? Perhaps you have a large piece of land which you could sub divide and put duplex on the back block? Usually a dual living block needs to be at least 600 square metres. Smart Choice Homes can design and build a duplex home for any sloping block. We will work with you to get the best custom designed duplex, making the most of views and the best use of space. Contact us today to enquire about a new build. Yes we do! Infact, everything we build is custom built. How long does building of a new home take? The duration of a new build depends on the size and complexity of the home, but typically a three bedroom two living area home will take between 3 to 5 months to complete. Do you provide a guarantee on your building work? With over 20 years experience and a real focus on customer satisfaction, you can rely on us for your next new home build. 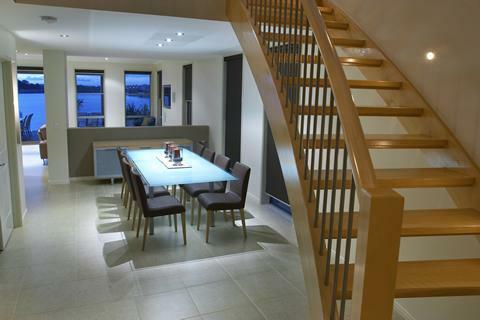 We provide a professional custom build service with a real focus on customer satisfaction.